The Gender Fair Gift Guide is Back! Black Friday. Small Business Saturday. Cyber Monday Week. How about a fairness shopping season? Gender Fair's movement to close the fairness gap helps you buy from companies who are proven — through data — to invest in equality for their employees, their consumers, and the communities they serve. Once again, we’ve put together a completely editorial gift guide from certified and high-scoring companies on the Gender Fair Index. Shop happy this season knowing you're supporting brands who also support women. 1. Stock your best friend’s bag. What’s the sign of a true best friend? They’ll tell you if you’ve got food in your teeth. Show your BFF you’ve got their back with stocking stuffers that help them put their best feet - and breath! - forward from Johnson & Johnson: BAND-AID® Brand HYDRO SEAL™ Bandages and LISTERINE® READY! Tabs™. Johnson & Johnson not only offers a range of employee resource groups (ERGs) where employees support each other, like Women’s Leadership & Inclusion (WLI), it transparently publishes goals and tracks their progress. 2. Go below the Surface for STEM. Microsoft is closing the STEM gap through community and educational initiatives for girls and women, partnering with groups like CSTA, Code.org, CSforAll, and NCWIT. And its new Surface 2 was named by Mashable as the best laptop of 2018 (full review and recommend specs here). Start building out a gift now (starting at $799) at Microsoft’s official store. Learn more about their commitment to diversity at the clip. 3. Whatever-they-want cards for financial inclusion. If cold hard cash just feels too impersonal, opt for the second best option - a gift card from Mastercard. With one purchased from giftcards.com, you can personalize it and use the code HALLOWEEN to save $1 (yup, still active through Nov. 30 - we tested!). With a gift card from Mastercard, it’s a purchase that also helps support financial inclusionand small businesses. 4. Make your giving charitable. Join a Gender Fair company in a cause that supports fairness, particularly in your local community. Eli Lilly and Company invests in results-oriented programs in Indiana -- its HQ is in Indianapolis -- that improve students performance in STEM. Supporting an equal access to education contributes to two of the seven UN Women's Empowerment Principles, and you can find a local organization to donate to at charitynavigator.org. Learn more about how Lilly mapped their employee journeys in the clip. We groaned a little at that one too, but here’s the thing: P&G's “Like a Girl” campaign changed perceptions, as 76% see the phrase positively instead vs. the 19% who did before the stereotype-breaking ad went viral. Launched originally in 2014, the ad series has continued to make waves and win awards, And for the guy in your life who models fairness and equality for the girls — and boys — in his, how about well-reviewed Braun’s Series 9 electric shaver? There’s a good deal on Amazon (and a bonus $70 coupon). Take a scroll through Eileen Fisher’sgift guide and you’ll find cozy, comfortable, and cashmere, including the finely woven chenille plaid scarfwith fringe. Under $100, it’s large enough to be work as a scarf or a wrap, it’s SA8000 certified in a women-owned factory in India. Eileen Fisher - as the company and its founder - believes that business as a movement has the power to change the world. Read her interview, and about their commitment to women and girls, here. Take advantage of a three-day weekend and book a Long Weekender package with Hilton Hotels and save up to 50% on Sunday nights, or reserve one of these weekend getaways with Hilton Explore. Hilton Hotels is the top-scoring hotel brand in the Gender Fair app, earning its place with parental leave policies even for hourly workers, signing the White House Equal Pay pledge, and its LGBTQ-friendly programming and advertising. For Game of Thrones fans, Diageo has released a limited edition line of single malt scotch whiskies, each inspired by one of the Great Houses. Diageo is the only A-scoring company in its sector on the Gender Fair Index that offers paid parental leave, nearly half of the board is women, and it demonstrates high levels of leadership and programs for women in its supply chain. For the loved one who prioritizes sustainability above all else, double the impact of your sustainability by supporting a (relatively) new brand whose parent company is also A-rated on the Gender Fair Index. Launched last year, the ApotheCARE Essentials Home™ line of responsible personal care products make a nice beauty (and self-care) bundle. 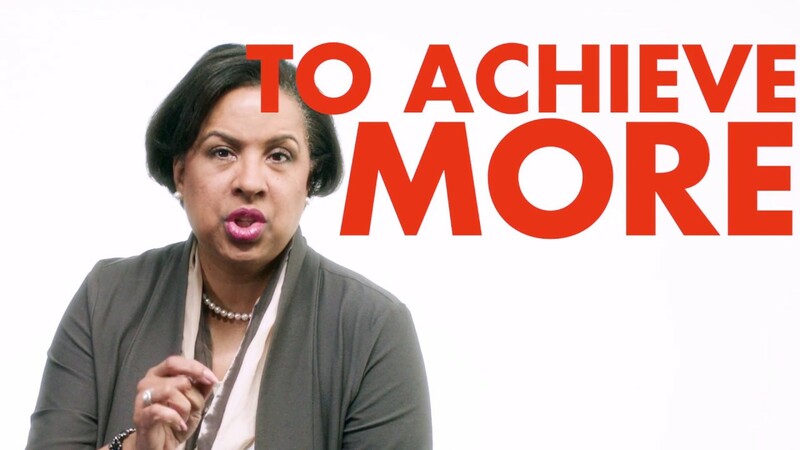 Unilever has trackable goals for becoming a truly gender-balanced organization. The HP Sprocket 2.0 (and the slightly larger Plus) hits the list again. Rated“excellent” by PC Magazine, the second edition of the portable photo printer has improved print quality, app functionality and lower running costs.HP earns an A in all four categories, founded the Women’s Innovation Council for the tech industry, and supports the “Free the Bid” initiative to support women directors. It also boasts the most diverse board of any Fortune 50 tech company. Called Apple’s best first-gen product in years by The Verge, AirPods make a great accessory for audiophiles and heavy iPhone users alike. And they’re currently (slightly) cheaper at Walmart. Apple gets an all-around A in the Gender Fair app with ads that bust stereotypes and genereous parental leave. It has also spent $1 billion with diverse suppliers, and achieved pay equity for similar roles and performance of both US women and minority employees in 2016. It’s not just what you buy or from what company, but your choice in retailer. Seek out top-scoring retailers and drug stores for your gifts and stocking stuffers like Amazon, Target, CVS, and Walmart.